François and Louis Mitjavile show that intuition and gumption are what it takes to stand out in the crowded world of Bordeaux winemaking. Radicals and Bordeaux hardly go together; the traditionalists are more likely to ensure their ways are maintained, and vintners would not want to toy with popular practices and get booted out of the old boys’ club. François Mitjavile, 64, is one of the region’s few bona fide rebels. His most recent stunt: not applying for a coveted ranking in the new Saint-Émilion Grand Cru Classification, which was released in September last year. Other winemakers are discussing and debating their promotions and demotions in the new classification, but François doesn’t need the institution’s glamorisation: his wines from his Tertre Roteboeuf and Roc de Cambes estates—located in Saint-Émilion and Côtes de Bourg—are highly sought after and consistently garner top scores from critics, including Robert Parker, who cited Tertre Roteboeuf as “one of Bordeaux’s superstars”. Today, François is aided by his equally passionate son, Louis, 43, who set up L’Aurage, his own estate, in 2007. Louis was in town in November last year to host a wine dinner. The history of Terte Roteboeuf began in 1975, when François , who was looking for a change from his Parisian city life, moved to Saint Laurent des Combes to work in his father-in-law’s little vineyard, which was then named Château Terte. “It was a difficult time for small estates like us in Saint-Émilion,” reveals Louis. “Unless you had a Grand Clu Classe status, it was hard to be profitable.” With zilch winemaking knowledge, François left for a two-year stint at Château Figeac, before returning to Terte. 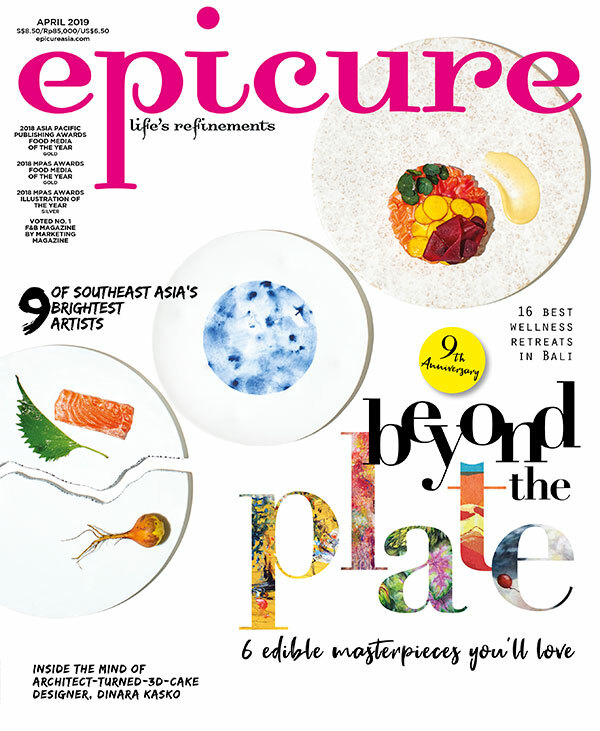 Excerpt from the March 2013 issue of epicure.